Left: The Super Smash Bros. Switch site, saying copyright Nintendo, and Original Game copyright Nintendo and HAL Laboratory. Right: The Super Smash Bros. For Wii U site, saying copyright Nintendo, and Original Game copyright Nintendo and HAL Laboratory. This illustrates what “original game” means: It is a reference to Super Smash Bros. on the Nintendo 64. Everyone knows that HAL didn't have anything to do with Super Smash Bros. 4 (that was NAMCO, which is why Pac-Man got in), but there they are on the Wii U website in the same capacity as what people consider proof that they are working on Super Smash Bros. For Switch. Sakurai said back in 2016 that his next job has been decided. He hasn't worked on anything since Super Smash Bros. For Wii U. He is working in an unknown role for the Switch version. It isn't clear to me that Sakurai ever got a day off, but he doesn't seem to want to keep working on Super Smash Bros. at all. You can have Link's looks include Breath of the Wild and it still can fall under enhanced port. That's trivial to do. People are wondering why Nintendo would have a whole trailer and build-up and title their Direct round-up press release after Super Smash Bros. if it was just an enhanced port. I mean... really? It's a Super Smash Bros. game. It's going to sell many millions of copies. Anything that happens in this series is headline news. Hence, why this article even exists. Note in the press release that Nintendo didn't even use the word “new” to describe it, and they use that word in press releases to describe other ports and remakes! Seriously, just go through that press release, do CTRL + F, and look at all the times they used the word new. If it was new and they wanted you to know it, they'd tell you. Actually, if Nintendo's goal was to make the most marketing buzz possible (which is the objective of a Nintendo Direct) and it really was an enhanced port, they did the best available tactic: Announce a Super Smash Bros. game and leave it ambiguous as to what its new-ness is. If they told you it's a port, there would still be buzz, but less. If it was a brand-new game, why wouldn't they say so? I'm leaning towards it being an enhanced port simply because it is releasing in 2018. That feels way too soon, and it pretty nicely coincides with when you'll have to start paying for Nintendo Switch Online. Sure, Super Smash Bros. Melee was developed very quickly, but I don't think anyone wants to repeat that game's development cycle. There is also the possibility that Nintendo may market the game as a new one, but it wouldn't fit the historical criteria of being a new Super Smash Bros. entry. Every Super Smash Bros. game has had a very different physics engine, which dramatically changes what each Smash Bros.'s metagame is like. While we haven't seen any gameplay of this Switch version, it will be fairly obvious if it was built from the ground-up like every other Smash Bros., or if it is just taking Super Smash Bros. Wii U and adding things to it. Here's hoping they bring back the Smash-Fest @ Best Buy during E3 2018! Now if you'd excuse me, I have a Splatfest to play. Don't forget about the games already out (and coming very soon) while you're having your Super Smash Bros. hysteria! Ludwig wanted to write a different article entirely relating to real-world events and games, but how was he supposed to know that this topic was going to pop up prior to Thursday? If you have any evidence that Ludwig failed to cover for either side of the debate, why not extend the conversation in the comments section? You know he'll reply to it, and you'll get well-deserved points in the KoopaTV Loyalty Rewards Program! After E3 2018, we got a lot of gameplay and a name for the Switch Super Smash Bros.: Super Smash Bros. Ultimate. Is it an enhanced port? I also cared more about Splatoon news than Smash news. I am very mediocre in Smash so I do not get excited much about it. Well we met through Smash. I hope this game will have a way to communicate with randoms online with tags again. The Switch needs a way to communicate with ANYONE, period. Whether it is just an enhanced port or not is not really that important to me. I did not play the Wii U version that much at all. Since I do not have anyone to play local multiplayer with, I just do not find playing against other players online to be as enjoyable for some reason. Rawk has promised to buy Smash on the Switch regardless of it being a port or not since he skipped on the Wii U version. That seems to apply to a number of people. 1.- Nintendo would never bother launching a teaser just for a 'port'. 2.- If it was a Sm4sh port, they wouldn't change a character's main outfit like we saw with Link and his BotW custome; if it was indeed a port they would show it as an alt and they would announce it later as additional features, NOT in a TEASER. Besides, a port is a VERY risky move for people wanting a new smash (and getting a teaser only to be a port) or people who got Smash 4 for Wii U AND bought all the DLC (which total cost is even more that the game itself). So much people will be angry if its a port. 1. Yes they would. Why wouldn't they? Smash for Switch gets its own budget. They can spend money on trailers, and every new character for Smash 4 got a trailer of some kind. The DLC ones got budget-level trailers without animation, but someone still put it together. You could see it as a trailer for the Inklings rather than the game. Then what? 2. We... don't actually know what Link's main outfit is. 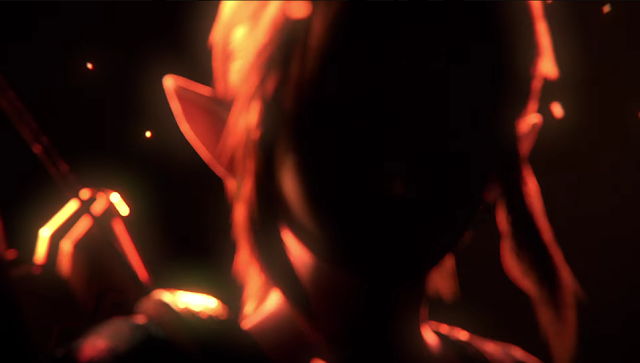 All we know is that he has a BotW costume. That "VERY risky move" (looking after people who got a Wii U plus all the DLC) didn't stop Nintendo from, say, porting Mario Kart 8 to the Wii U. A lot of people are vastly overstating fan-based anger, especially because the same people you say would be angry were begging Nintendo for a port just a few weeks ago, for months on end. It's always good to have that hint of doubt whenever holding tightly to a belief! While signs seem to favor Super Smash Bros. for Nintendo Switch being an original game, nothing is stopping Nintendo from a deluxe edition (like that with Pokken). A lot of this is devil's advocacy: So many people are convinced that the game is brand-new but they have absolutely no proof of it, despite saying they have 100% certain proof of it. Truth and levity dictate I must present them facts. Hey, I just said I was completely (100%) sure, not that its 100% chance that it will be a brand new game, I just put all my hopes on it and I'm still thinking, or at least wanting that it will be. You're 100% sure that it's a brand new game, but don't think it's a 100% certainty. I think you generally want those to line-up? "I'm 100% sure there's a 60% chance of it happening!" You could do that too I guess. Just so we're all clear, I obviously prefer newer games to ports, especially when it comes to Smash. The circumstances with the development here just don't inspire that much confidence. Another point I want to bring up: This article isn't saying that it's a 50-50 chance that it's a new game or a port. I think the most likely thing to happen is that it'll be marketed as a new game but be based on Smash 4's engine and coding, which is how games in other franchises do sequels (like Ace Attorney from 1 to 4 or 5 to 6, or Madden, or Assassin's Creed). Super Smash Bros. is in the really unusual circumstance where every game is built from... pretty much scratch. It's pretty much spoiled everyone with these uniquely high expectations for what constitutes a new game.